I sat down to write this post and then 2 hours later realized I was purchasing some sweet patterned leggings and had watched various clips of documentaries of monkeys with unfortunate gas. I guess I’ll actually do this now. These are cookies. They’re peanut butter sandwich cookies. Because I like cookies, and I like sandwiches, and so a cookie that’s also a sandwich is pretty rad to me. These didn’t really turn out exactly how I had hoped they would, considering all the reviews and whatnot. They’re still really good though. I guess I was just looking for something a little different to satisfy my very specific sandwich cookie craving. I wanted something crunchier/crispier. Next time. I put just the tiniest sprinkle of fleur de sel on top before baking them. 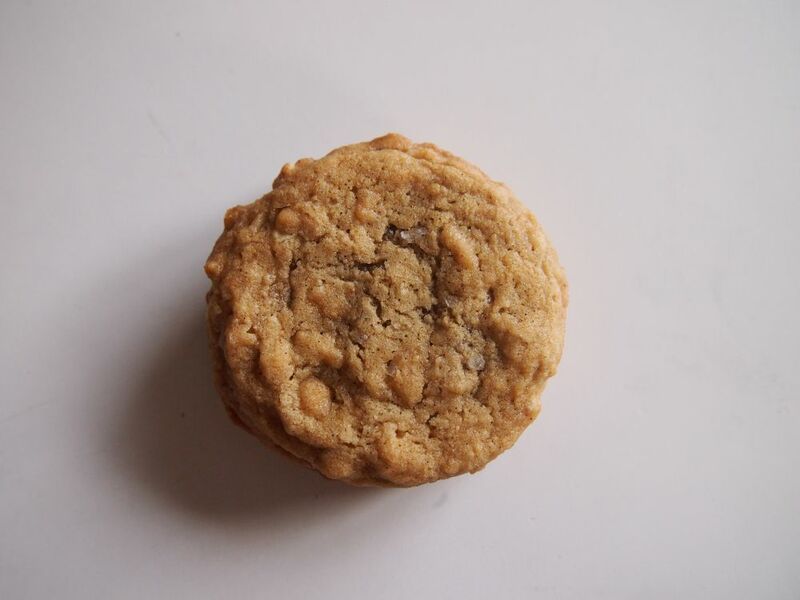 Salty sweet crunchy peanut butter chewy cookie goodness. All in one tasty little package ready to be delivered straight to your mouth and then thighs. Look look! I made a gif of a disappearing cookie. I wonder where it went? Lol jokes, it went straight into my mouth. Right into it. I barely chewed and chased it with a glass of milk. That’s my life. Whip together the butter and sugars with the paddle attachment of your mixer until light and fluffy. Add the peanut butter and mix some more. Then add the eggs and vanilla one at a time and mix on medium high until it’s all light and fluffy and happy looking. Add the dry ingredients and mix on low until all combined. Scoop the cookie dough with whatever sized scoop you want, I used a small 1″ one, and place in the fridge to chill for about 2 hours before baking. When you’re ready to bake, preheat the oven to 375F and place parchment or a silicone liner on a pan, then double pan that pan (put another pan underneath it). Bake them for about 10 minutes, give them a rotate, and bake for about 3 minutes more until they’re golden brown and tasty looking. Allow the cookies to cool completely before filling or you’re gonna have a bad time. Whip the butter, peanut butter, icing sugar and salt until fluffy. Add however much buttermilk you need to make it the perfect consistency for you. I used about 2 tablespoons. I also used buttermilk because it was in front of the milk and I was too lazy to move it out of the way. Typical Tara. p.s. oh my gaahhhddd it’s my 100th post! Is this some sort of blogging thing that I should be excited about? 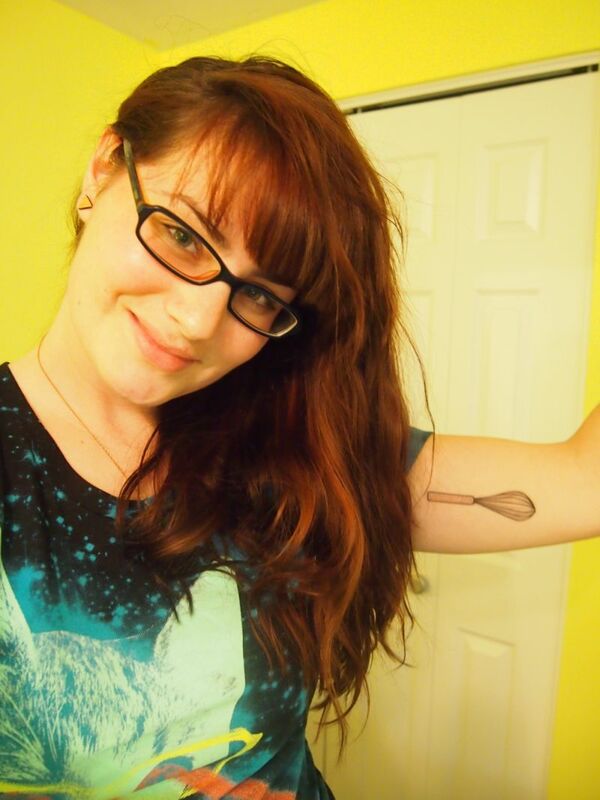 Here’s a weird picture of me with my new tattoo I got. 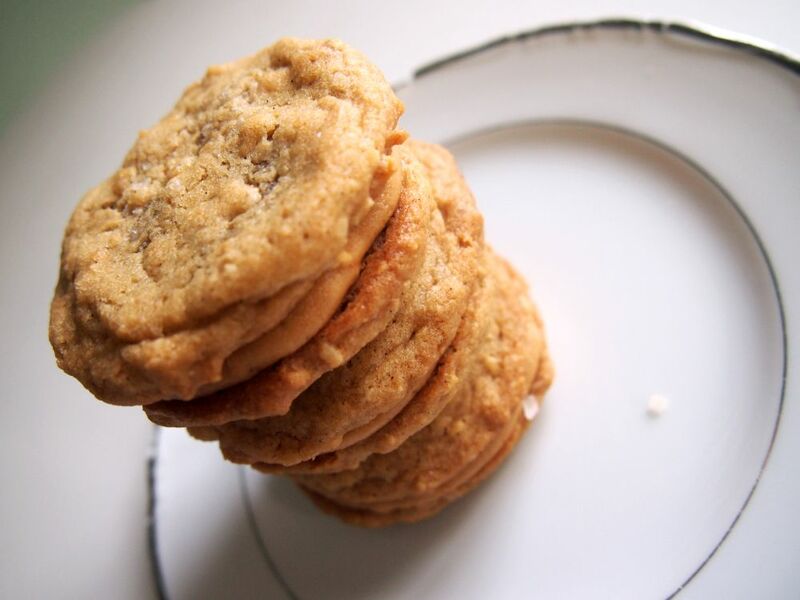 This entry was posted in Cookies, Delicious Breakfast Things, Delicious things I think are pretty delicious and tagged baking, cookies, crunchy peanut butter, fleur de sel, peanut butter, salty sweet cookies, sandwich cookies, soft peanut butter cookies. Bookmark the permalink.